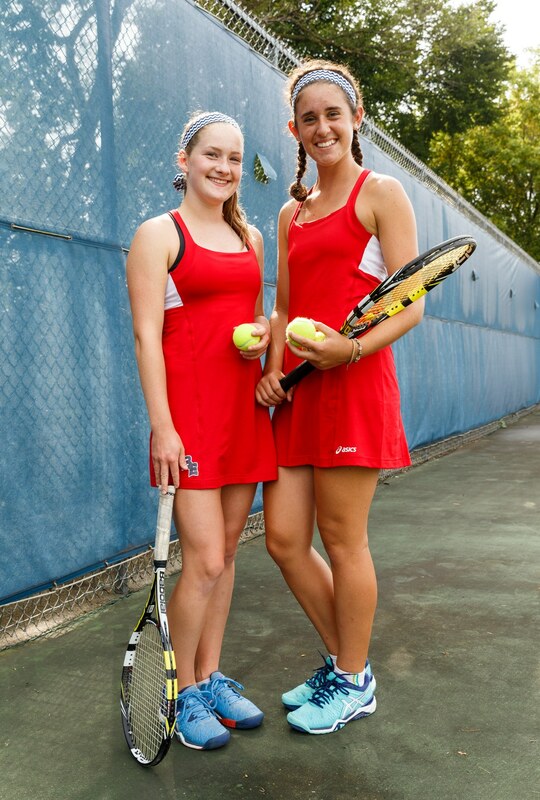 Brookfield East tennis players Emma Corwin and Emily Horneffer didn’t have to look far for inspiration growing up. Corwin had two older brothers who starred for the Spartans boys team - Tim, a senior who plays for DePaul University - and two-time state champion, Felix, a junior at the University of Minnesota. Horneffer was inspired by her brother, David, who finished second twice, won the WIAA State Championship this past spring and now plays at Kalamazoo College. “It was really cool to watch him and everything he accomplished,” Emily Horneffer said. “He is definitely inspirational to me. It made me want to try harder. “They are the reason that I love this sport,” said Emma, East’s No. 1 singles player. “It's in my blood because of them. They showed me what's it like to have a passion and reach a goal. Growing up I would hit in their group, but I was always the little weakling. Those ages I wasn't very good at tennis and they were playing in national tournaments. Horneffer, who plays No. 2 singles, got started in tennis around 4 years old - or ‘whenever I could hold a racquet,’ - she recalled. 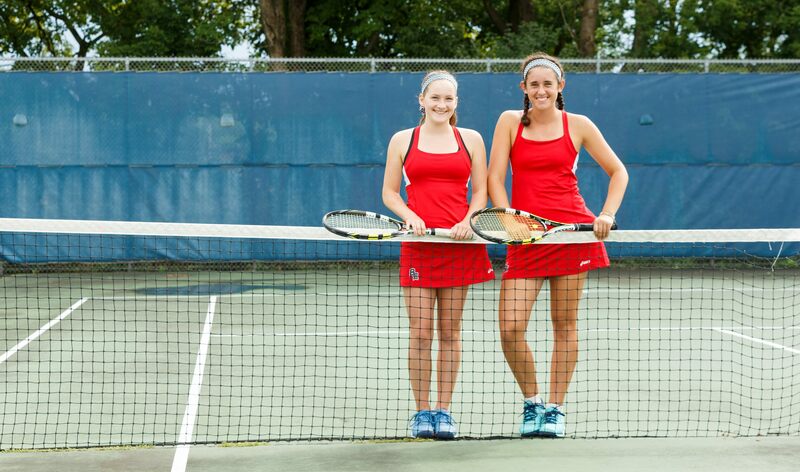 Her parents, who both play tennis, entered her in local tournaments to get her started. But she found a different atmosphere in high school. East tennis coach Linda Lied was happy to get her, because she was also a skilled dancer (pom pon). “She is a very talented dancer,” Lied said. “She focused on dance. She was very competitive. At freshman orientation I told her ‘I would love to have you on the court.’ She was not sure about playing tennis. Lied could immediately see how good Emily was with a racquet in her hand instead of a pom pon. “As a freshman he was very talented. Her strokes were pretty good, her movements were fantastic. She was fundamentally sound, but she needed match experience. We played her at 3-4 singles, at a level she can compete at. “He had good composure, she was very stoic. She was amazingly mature. She was a smart young lady, who sees the court well. She knows the angles. Horneffer was a special qualifier at state with a 24-4 record as a freshman. And Emily feels she will be better this time around. “I think that experience last year helped me and I can definitely go in more confident with that under my belt. I need to work on my consistency on attacking balls; just going out and playing my best every time. I think that will come with time and experience. Corwin, meanwhile, was surrounded by tennis growing up. Emma’s father, Timon, was a college coach in Florida and he worked for the USTA. Before coming to Wisconsin when she was 11, Emma played in a tennis camp every summer when she was 7-10 years old. She was able to play tennis year-round as an individual. She had a coach and had weekly group lessons. “Sometimes I would sign up for a USTA tournament. That's what all my experience was. I would go to a tournament, I would win, then I would lose, lose. Lied recalled when Emma came out for the team. “I was so used to playing for myself, it's a different sport for me (in high school). It's so fun. I love high school season; being able to cheer people on when they play tennis. Corwin went to state seeded 10th and took a 22-6 record with her. Lied saw the improvement over the years. “Her sophomore year she had some tight matches that she did not come out on top,” Lied said. “She played a good match, but was not winning. Then as a junior, you could see the switch go on. Corwin didn’t hesitate to talk about an important part of her success. “My demeanor. I miss a shot and it's not the end of the world,” she said. “I'm like 'C'mon Emma let's do this.' Every single points counts. I'm going to go and make it all count. I'm not going to lose my focus. I'm confident in my abilities. I don't need to worry. Being a senior and the Spartans top player, Corwin welcomes the leadership mantle. “I feel that I've always been a leader - in classes, on the court,” Emma said. “Not just because I'm in the No. 1 singles spot, it's who I am. I want this team to succeed. I know what it takes to get to team state. We've done it. Emma remembered when she turned her game around. “Passion is the leading part of my game,” she said. “When I was in seventh grade I went to a big tennis tournament in Illinois. I lost and lost and I came back and was sitting on a bench with my coach and I was crying. FAVORITE MOVIE: Stranger Than Fiction. FAVORITE PLACE YOU VISITED: France. WHAT DO YOU DO TO RELAX? Music, Take a bath. MOST MEMORABLE SPORTS MOMENT: Taking second in Team State last fall. WHAT WOULD YOU LIKE TO DO IN THE FUTURE? Play tennis in college. FAVORITE PLACE YOU VISITED: Hawaii. WHAT DO YOU DO TO RELAX? Sleep. MOST MEMORABLE SPORTS MOMENT: Beat Eau Claire in Team State semi-finals last fall. WHAT WOULD YOU LIKE TO DO IN THE FUTURE? Teach high school English.